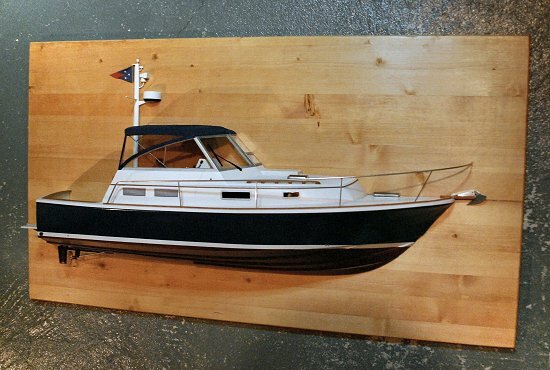 Custom BlueStar 29.9 Half Hull/Model, mounted on a mahogany base. Built from photographs of owner's boat and Mark Ellis Design drawings. Hull, paint-scheme, trim and railings; all details are custom made to your specific boat!